The Ford Motor Company says that it will soon use powerful graphene for vehicle parts. We currently use graphene in coating, some sporting goods, and cell phones. Ford claims that there will be graphene under the hood of some of its cars by the end of 2018. Graphene is the lightest, thinnest, and strongest material in the world, say scientists. It is also incredibly flexible. We do not call it ‘powerful graphene’ for nothing. It is approximately 200 times stronger than the strongest steel in the world. Graphene is also the best conductor of heat and electricity on Earth. It is incredibly thin. Scientists describe it as a 2-dimensional object. Many in the automotive industry see several promising uses for graphene. Some uses include, for example, battery, polymer, and paint applications, says Ford. Although it is not economically viable for every application, Ford and its partners have found some. They are considering using small amounts in fuel rail covers and front engine covers. They are also considering using graphene in pump covers. Ford’s interest in powerful graphene began in 2014. The company and some suppliers began to study how to use the 2-D material. Engineers carried out running trials with auto parts such as front engine covers and pump covers. They also experimented with rail covers. Typically, when you want to make vehicle cabins quieter, you have to add more material and weight. With graphene, on the other hand, you use less material and weight. Engineers mixed graphene with foam constituents and carried out a series of tests. 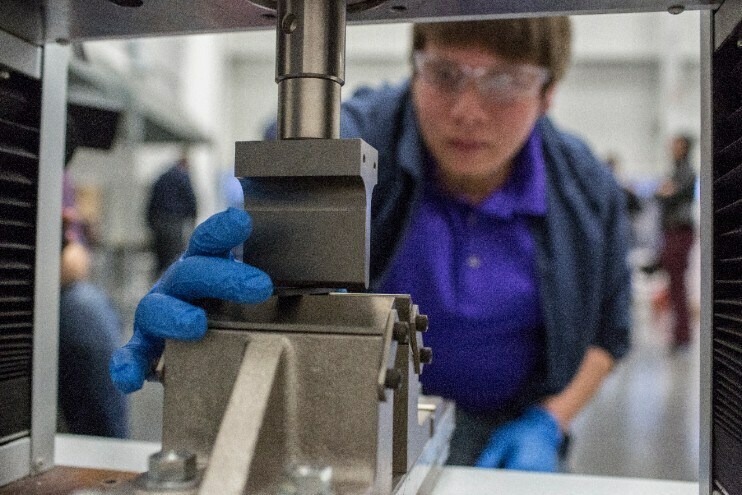 Tests showed a 17% reduction in noise and a 20% improvement in mechanical properties. Engineers also reported a thirty percent improvement in heat endurance properties. Ford expects to use graphene in over ten under-hood components by the end of 2018. It will start with the Mustang and Ford F-150 and then include other Ford vehicles.